Entry by foxhall 25 weeks ago. What Conan says here is, "There is a trap" (first speech bubble), "Among us!" (second bubble). 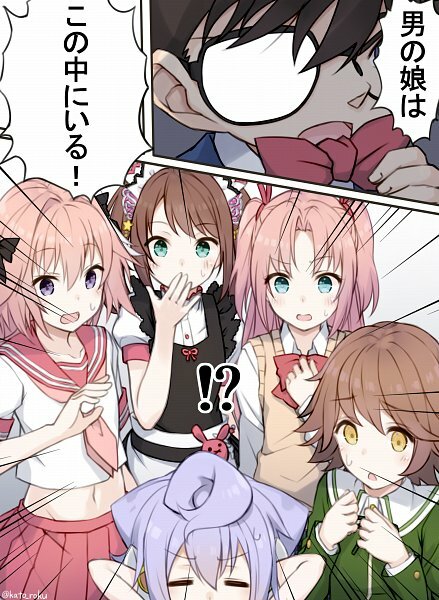 Funny enough, in the larger panel, ALL of the characters shown (including Hacka Doll No. 3 who Conan used to mimic its voice) are traps.